Kevon Martis has been the leading activist working to halt the expansion of wind turbine developments in Michigan. The concept is that the industrial wind farms’ towers and spinning turbines require such large safety zones and noise setbacks that these extend onto neighbors’ property. Turbine blades can reach up to 600 feet above the ground with tips moving at 180 miles per hour. Since the uses of the property within a safety zone are limited — no children’s swing sets, for example — the intrusion is a property value-reducing trespass. Martis said that wind farm promoters lobby local townships for zoning setbacks that only consider a turbine’s proximity to an actual residence. This means neighbors can lose the ability to use large portions of their land if a wind turbine is nearby. There are an estimated 887 wind turbines in Michigan, with the vast majority located in the northern part of the Thumb region. Last December, the Legislature enacted a new state law that increases an existing renewable electricity source mandate from 10 percent to 14 percent. Now there are plans to erect hundreds of other industrial wind turbines in rural Michigan counties. NextEra Energy, a Florida-based company that constructs and operates wind farms, has filed lawsuits across the country in disputes with municipalities over where towers can be erected. In Michigan, the company sued Tuscola County’s Almer Township in February. The effects of wind turbines on surrounding properties has been part of a national discussion. One safety issue centers around ice forming on spinning turbine blades. A wind industry opponent called the Industrial Wind Action Group Corp. has posted testimony on its website from Will Staats, a wildlife biologist for the New Hampshire Fish and Game Department. In his testimony to a New Hampshire Senate committee, Staats explained the dangers of ice that come from wind turbines. In a phone interview this week, Staats said he has seen large chunks of ice debris on the ground that had been thrown from wind turbines into the woods. The American Wind Energy Association declined to comment for this story. But the organization produced a fact sheet on wind power myths and said the statement that wind turbines are not safe due to flying or discharged ice is a myth. 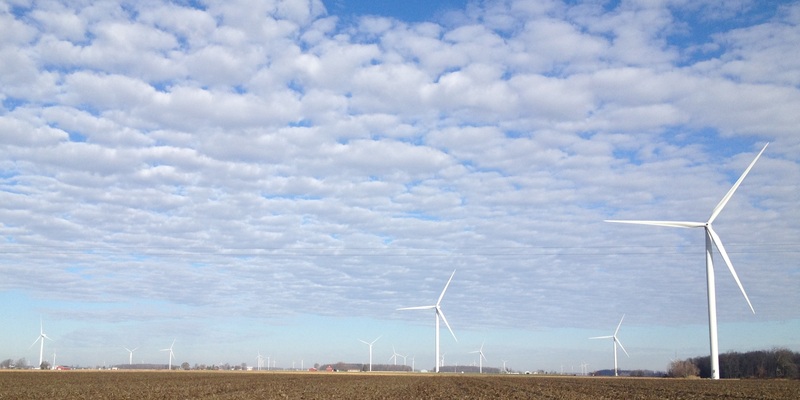 Media reports have underplayed the potential impact of wind turbines on a community. For example, the Detroit Free Press ran a story about myths on wind energy. Wind industry opponent and some experts, though, say the impact of a turbine on surrounding property extends beyond the one-acre plot of land that it sits upon.